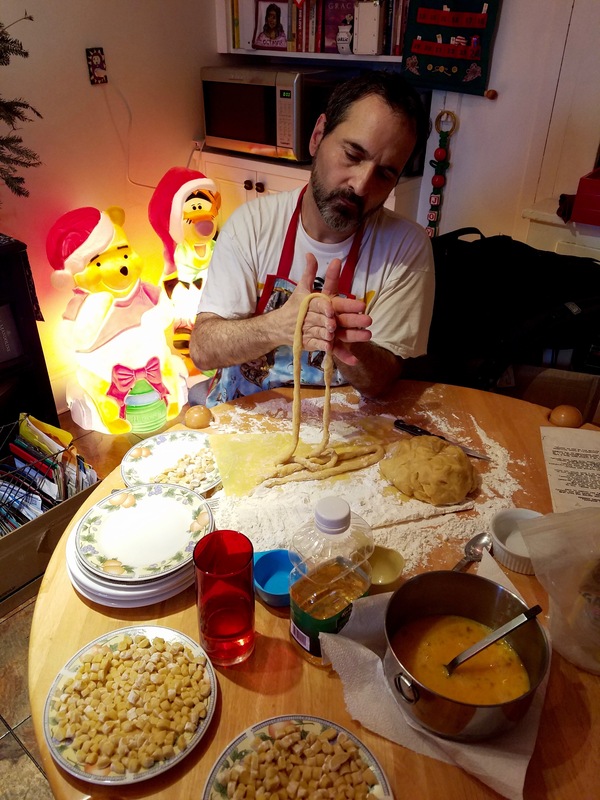 The other evening I was at MOM’s preparing the Manicotti Crepes for Christmas Day Dinner! MOM’s Recipe — In those days, there wasn’t really a recipe, of course. 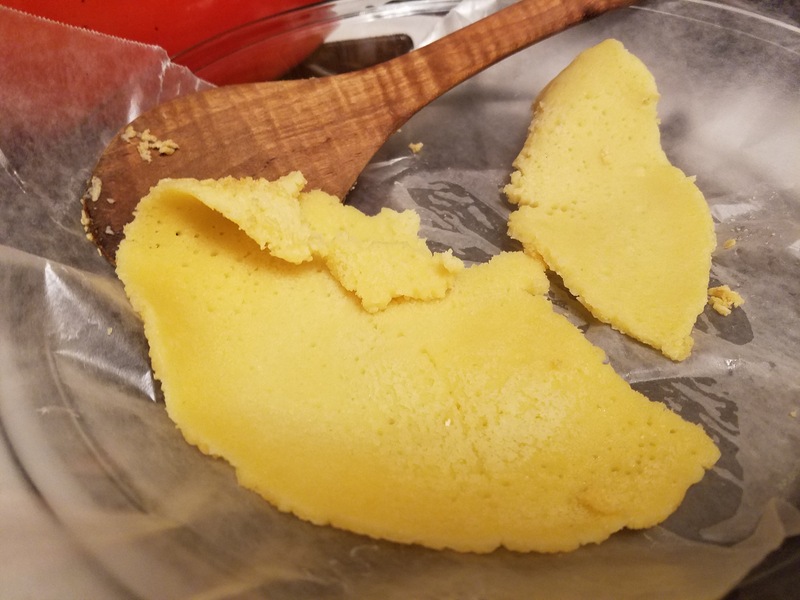 You just kind of watched or estimated or if you asked someone for their recipe, they would try to explain what they did, with phrases like, “then you add some cheese,” or “mix it until it looks right. If it’s not thick enough, add some more water…” Instructions like that. My Sister-in-Law had managed to write down some semblance of MOM”s Manicotti Recipe and shared it with me. 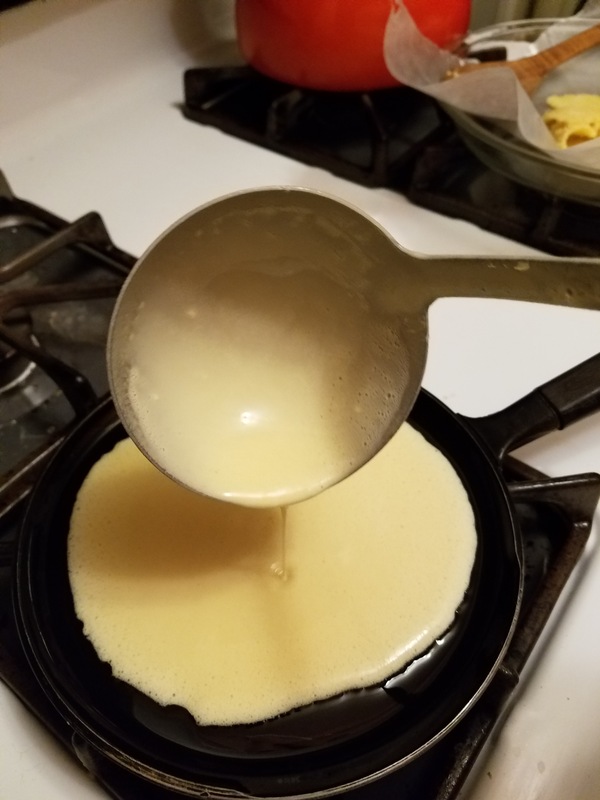 I made over thirty crepes. The last three came just like MOM’s! The first 27 — not so much! On Christmas Day I cooked them, and made sure to serve MOM one of the three that came out perfectly! She looked over at me, not quite understanding. “Yes!” I replied with an ‘Of Course’ tone. The first one never comes good. Everyone knows that! The last three came Perfect! 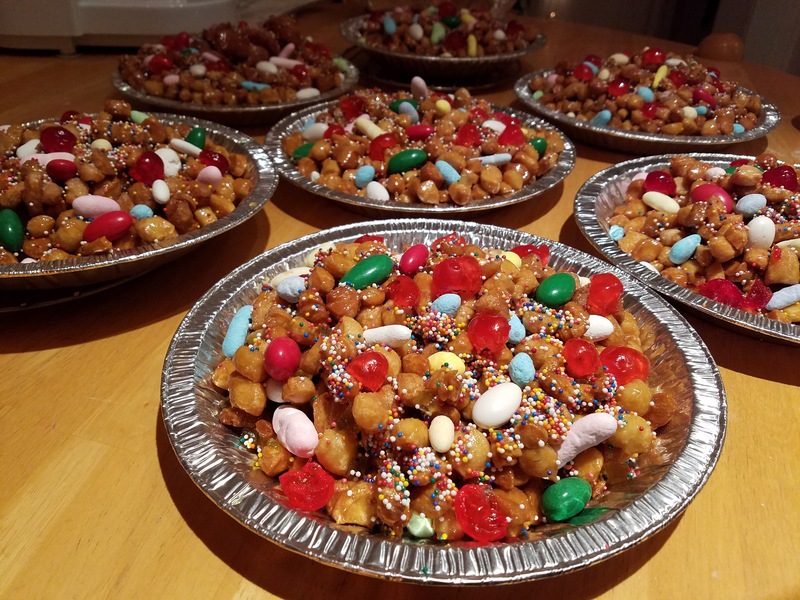 And then came the Stroufeli — Grandma’s Recipe! And then came my Partner’s MOM’s Pumpkin Bread! And my friend FLO’s Cheese Ball! …I Love to make the Recipes of Friends and Families and my Ancestors at the Holidays! So Very IT’S A WONDERFUL LIFE! I know that I would not be Celebrating in just this way and doing these exact things if I had not known you. It is a tangible expression of how you have influenced my Life and helped to make of me the person that I am. The stroufeli takes a day. Some dips and cheese spreads to have on hand for the much hoped for drop-in company. And people wonder why my Christmas Card doesn’t make it out until February! It is JOY in Action. It is the Celebration of a Miracle. It helps to remember that humankind is Saved! We need not succumb to any of the hatred and misogyny and racism and xenophobia being spouted out of the mouths of certain politicians. They are not empowered to decide for us. They are merely empowered to represent us. And it is my sincere hope that those who do not represent us well will be voted out in 2018. And 2018 is upon us! It is the Celebration of So Many Miracles! The Miracle of the Stroufeli! 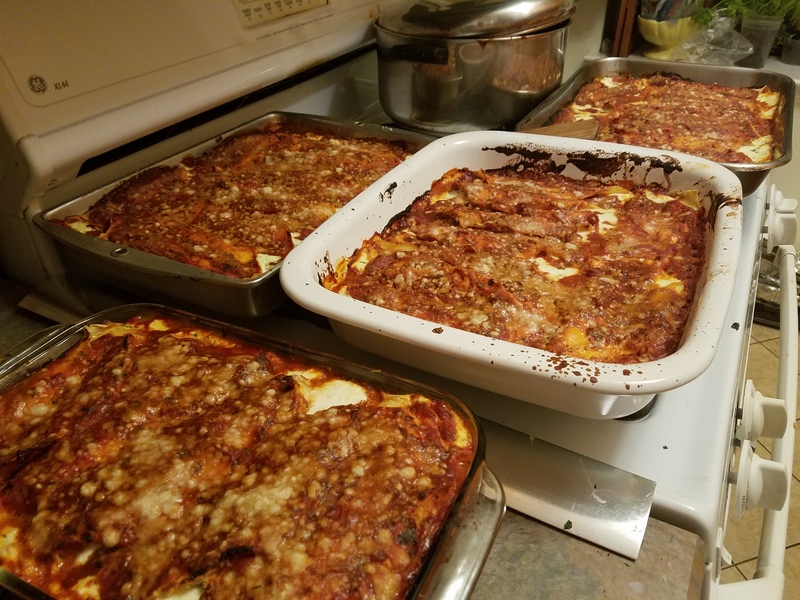 The Miracle of the Manicotti! 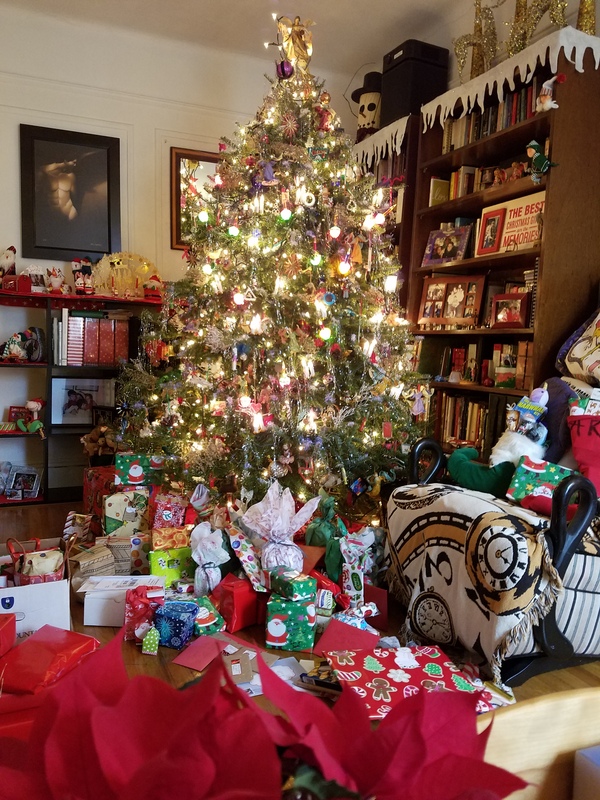 The Miracle of the Presents! The Miracle of the Wrapping! The Miracle of the Post Office! The Miracle of the Christmas Tree! Propped up against the BookShelves after it had fallen face forward to the ground. Oh did I mention the Tree fell down this year? 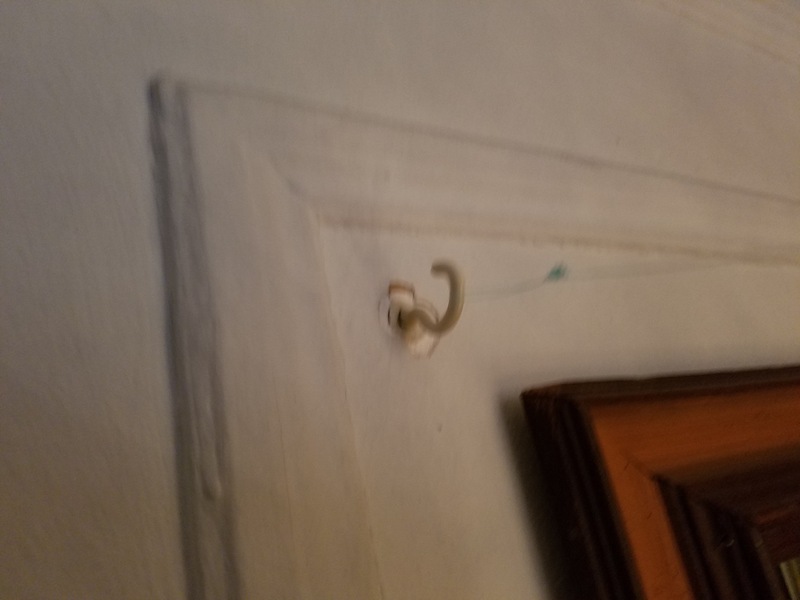 Did I mention how for years my Father would tie the tree with rope to a hook he had screwed into the wall behind the radiator? Did I mention how foolish and unnecessary that seemed to me? 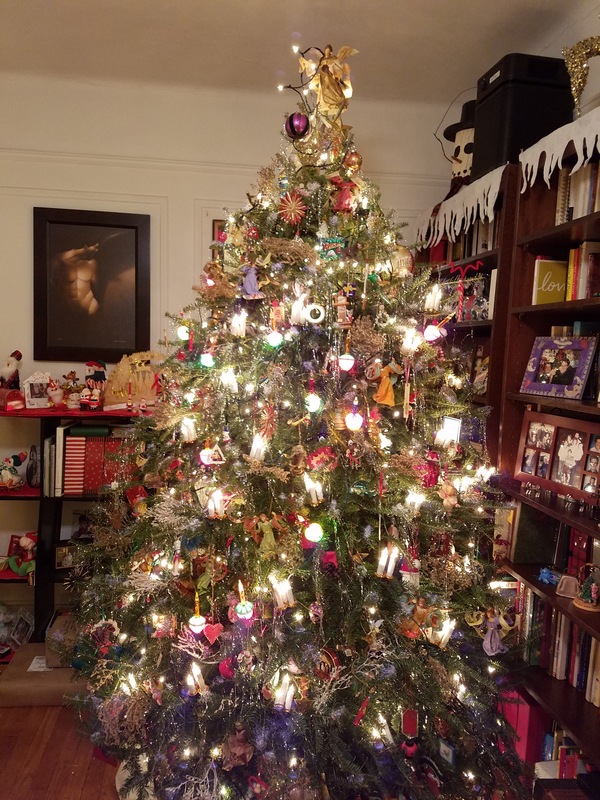 Did I mention that after we got all the ornaments on our Tree this year, before the tinsel and bubble lights, it fell forward? The Miracle of minimal breakage! 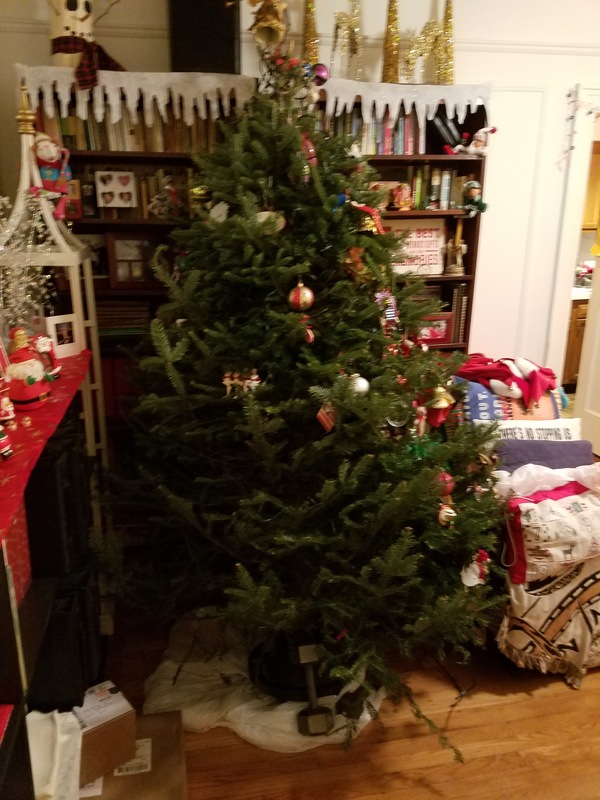 Seriously, it was less than five ornaments and even those suffered minimal damage — the Tree itself cushioned the ornaments with its branches against the fall! Pick it back up, and put a few cuphooks in the wall to anchor it with some fishing line, just the way Dad did! Stay up too late again, and finish decorating! 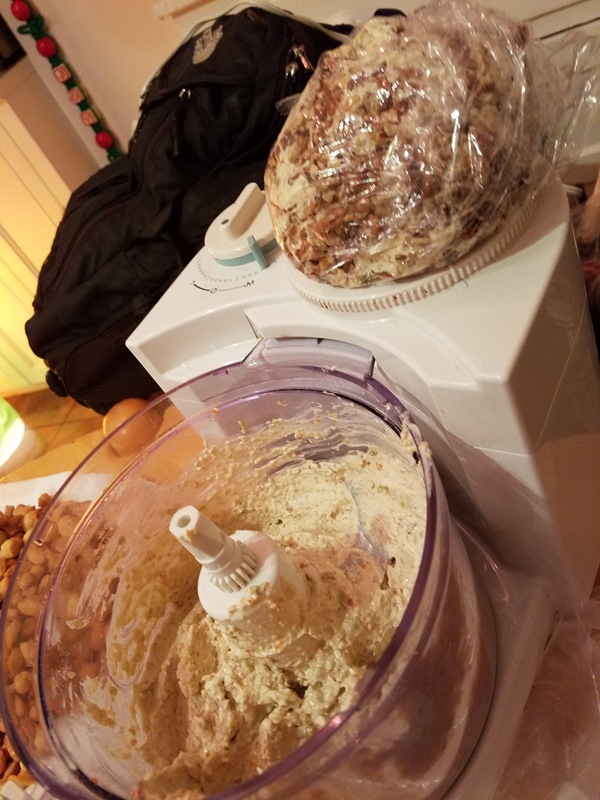 I’ve made a lot of dough this year! 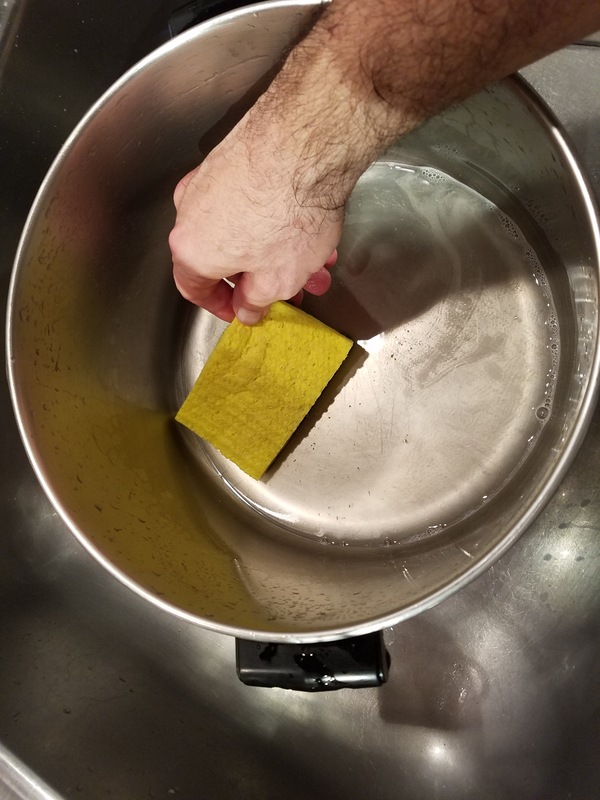 I’ve washed a lot of pots. I’ve wrestled a bit with the expense of it. It’s not a free ride. 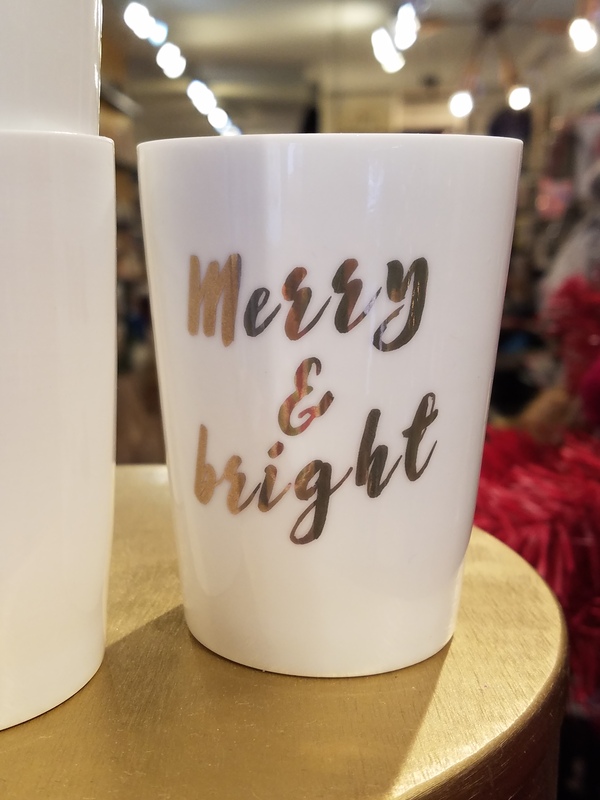 But it is a Glorious One! And for some it’s only 50 or 60. For some it’s even less. I shall Celebrate every one! I shall keep Christmas in my Heart the whole year through! We are worth the effort that it takes! It’s about recreating memories to keep traditions alive. 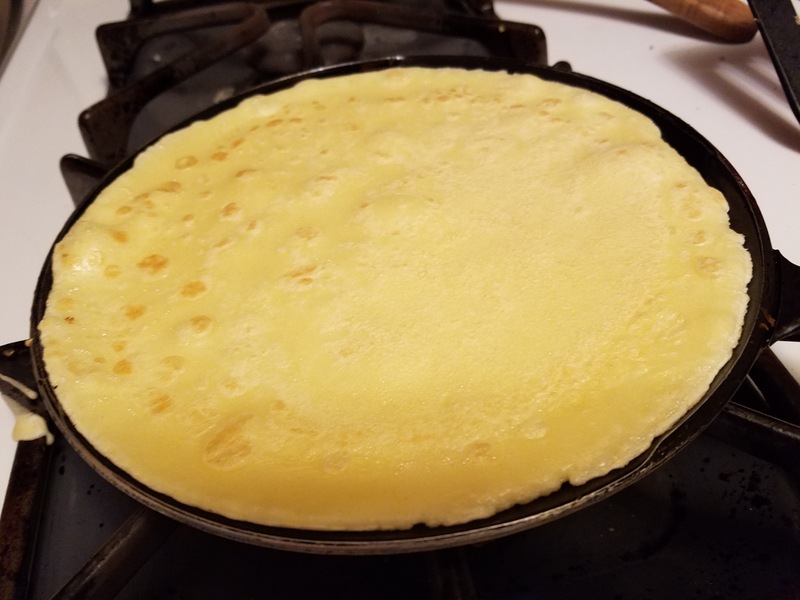 Remember the first crepe is really the chefs sample to make sure it tastes right . So happy your able to cook for your M O M , friends & families and share with your face book family . Merry Christmas , Happy New Year and a Happy Festivus for the Rest Of Us . Enjoy the Process. Messy and bright – that’s perfect, and the cup hooks are a brilliant solution to one problem. For this introvert, the round of parties is wearing, but we have them every night right through New Years. Each day I think I can’t possibly go out to one more. Then my social-convenor partner jollies me along. I arrive. I look around and see beloved faces and interesting new ones. I eat. I chat. I play games. I laugh. I relax. I fall into bed exhausted. And the next morning I awake full of gratitude for the loving connections. So…thank you, Arnold, for reminding throughout the years to laugh, love, and connect. Wonderful look into a precious life.